Welcome to Beltech India Incorporation. 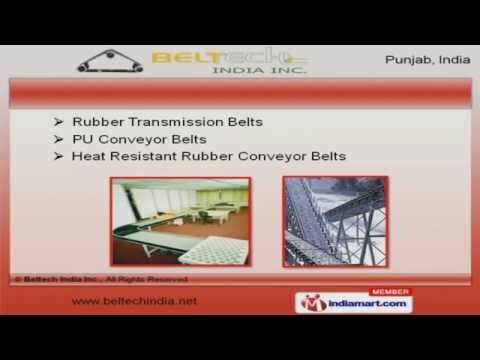 Manufacturer and Exporter of Rubber Belts. The company was established in 2001 at Jalandhar. We serve to Textile, Paper, Engineering and other industries. Assured quality products, highly competitive price and Flexible payment modes are the factors that help us to stay ahead of our competitors. We offer a wide assortment of Industrial Tapes, Rubbing Aprons, Transmission and Conveyor Belts. Transmission and Conveyor Belts offered by us are widely acclaimed in the market. Our Rubber Transmission, PU and Heat Resistant Rubber Conveyor Belts are best in the industry amongst others. We also provide Nylon Laminated and Flat Belts that are available at industry leading prices. We have gained tremendous expertise in providing Synthetic Spindle and Condenser Tapes that are cost effective. Our Industrial Rubbing Aprons are in huge demand across the global markets.